Engineers, Scientists & Quality Champions, learn how to build robustness into your products. Consider our Seminars for individual or group training. This skill-building seminar with application workshop teaches you how to guide your project team with the proven skills to build quality into your products and tackle the problems on production floors. Scroll down to review content and description of our 2, 3 or 4 - days traini/workshop at your facility. Write us ( rkroygm@gmail.com ) if you wish to schedule a training/workshop for your engineering & scientific professionals. Click here to view and register in seminars sponsored by the American Society of Mechanical Engineers (ASME, Instructor: DR. R. Roy). Which manufacturing processes benefit from this skill? The following processes have potential for high return on investment from this technique when used for OPTIMIZING DESIGN or used for SOLVING PRODUCTION PROBLEMS. I was deeply saddened to learn that Dr. Genichi Taguchi passed away in his native Japan on Sunday, June 2, 2012. Dr. Taguchi made a remarkable and lasting impact on the Quality revolution of automotive and manufacturing industries, which was prompted by the oil embargo of the late 1970's and continues today. 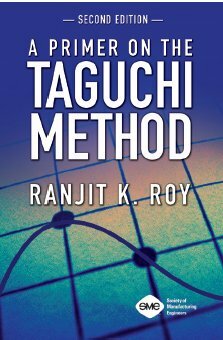 Dr. Taguchi elevated the utility of the Design of Experiment (DOE) statistical technique which was originally introduced by the UK's Sir R. A Fisher in the 1920's. Taguchi's constant effort to make the DOE technique more effective by standardizing experiment designs and offering a method for handling influence of noise factors toward robust designs was readily adopted by quality professionals and industrial experimenters worldwide. With his passing, the world lost another great innovator and contributor to quality. Robustness is an essential characteristic for dependable performance. Robust products and processes perform reliably with minimum variation due to uncontrollable factors. Naturally, to assure consistent performance, the designs must be robust. Dollar for dollar, the return on investment is the most when design improvement efforts are directed toward the development activities. One of the effective ways to reduce variation in performance that potentially results in rework and rejects downstream, is to use the standardized version the Design of Experiment (DOE) technique proposed by Dr. Genechi Taguchi. This approach allows scientific professional to easily learn and apply the DOE technique in their own design and development. Today, robust design technique is considered a necessary effort for building quality into products and processes of all kinds. In this seminar Dr. Roy will take you through the basic steps in the Taguchi approach for robust product and process designs. Participants are required to solve numerous hands-on exercise to learn how to apply the technique immediately in their own projects. The course discussions cover topics such as PLANNING, EXPERIMENT DESIGN, ROBUST DESIGN strategy and LOSS FUNCTION in details. Discussions of theories and statistical computations are kept to a minimum. By completing this course, the attendees are able to apply the robust design technique in their own projects to (1) Optimizing product/process designs, and (2) Solve production problems. R&D Scientists - Find the recipe/formulation that produces the most desirable and robust performance. Quality Champions, Black Belts, and Project Managers - Learn and apply the technique that makes you more effective in solving production and manufacturing problems. Engineering Consultants - Secure the application knowledge you need to facilitate design optimization and problem solving teams. Engineering & Manufacturing Executives - Find out how the application methodologies perfected by experienced practitioners add more value to the technique and how you can implement it in your activities. Educators and Trainers - Discover how to make your teaching more effective with balanced emphasis on theory, hands-on practice, and assistance of an user-friendly software. Marketing Executives - Increase response from advertisement and optimize web/landing pages. Why should you consider our seminar? There is no minimum educational background requirement for this seminar. However, two or more years of college education in any field of science or engineering is helpful. This course is taught at a level easily understood by the practicing engineers, scientists and managers without a background in statistics. The class discussions are intended help you build application expertise. Our goal is to make you ready for immediate performance improvement and variation reduction applications. You will know how to plan, and lay out experiments. You would also be able to interpret and analyze results. Engineering managers & executives, the products you manufacture are much improved when you build quality into the designs. Your project applications await leadership from a few skillful specialists. Register the potential mentors within your organization to be trained by us. Our session will make them ready for applying the technique right away. Attendees to our session also learn how to use the software that relieves them from all experimental design and analysis tasks. Worried that in absence of immediate applications, you might loose the learned skill? The reference textbooks available would help you to quickly brush up the methods in times of needs, long after the seminar. When quality issues are addressed in the design phases of products and processes, the return on investment is much greater. Desirably, all designs should be optimized before they are released for production. For products already in production, a vast majority suffers from problems related to the lack of consistency of performance. Variation in performance, which causes higher rejects, reworks, and warranty, can be reduced by this experimental technique. This 4-day seminar will prepare you for immediate application of the robust design technique to your own projects. Basic steps of experiment designs using the Taguchi orthogonal arrays will be discussed in detail. You will understand how improvement in consistency is measured in statistical terms and how experiments can be designed to improve it. 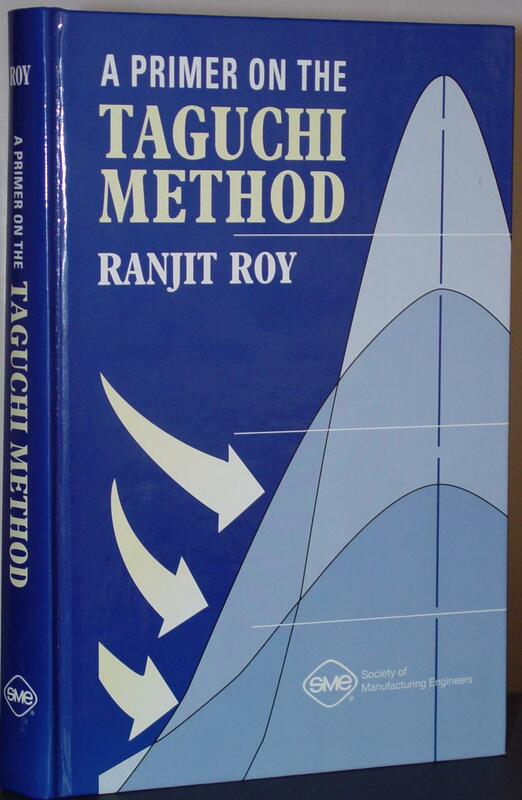 The Taguchi Robust Design strategy, which deals with treatment of the uncontrollable factors and how to make the performance insensitive to the influence of the uncontrollable factors by controlling those factors that can be controlled, will be covered in details. Practical application steps, including brainstorming, team approach, and consensus decisions, are demonstrated through example project applications. Discussions of theory and mathematical treatments are kept to a minimum. Concepts covered in class lectures are practiced and tested using numerous class exercises. A large number of review questions in the reference handout provides opportunities to test what is learned in the class. The participants are encouraged to attend as a team and bring their own projects to the class. Workshop: Attendees learn hands-on, how to accomplish design and analysis tasks using Qualitek-4 software (Free working DEMO) . All attendees are requested to bring their own laptop computer for the last two days of the class.